First responders, like firefighters, EMS, and police officers, are witness to a number of tragic events on an annual basis, yet, they are expected to move on and “forget about” each event as if they never happened. Or, at least they were. Beginning in October of this year, the state of Florida will officially recognize post-traumatic stress disorder as an “occupational injury,” which means that first responders will finally be able to recover the compensation they need to undergo PTSD treatment. The signing of S.B. 376 by Governor Rick Scott this past March is a huge step for Florida and the men and women who serve in the state. The bill proposes that first responders be compensated for PTSD, even if the injury is not accompanied by a physical injury. 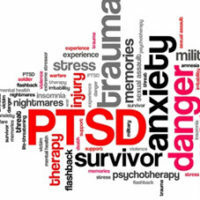 In order to qualify for workers’ compensation for PTSD, a first responder must have witnessed one of 11 traumatic events in the course and scope of their employment, and he or she must have been diagnosed by a treating psychiatrist. Moreover, the victim must provide notice of the manifestation of PTSD injury within one year of witnessing the traumatizing event. Participating in the treatment of an injured person who either tried to commit suicide or who was harmed in some other grievous manner who died prior to or upon arrival at a hospital or an emergency department. In order for a first responder to receive workers’ compensation for his or her post traumatic stress disorder, he or she must first present clear and convincing evidence of a psychological injury. Evidence may come in the form of an official diagnosis from an authorized psychiatrist. If the employer or insurance carrier assigns a psychiatrist to the employee, the employee must visit that psychiatrist, just as he or she would have to visit the medical professional assigned to a physical injury case. If you or a loved one has been diagnosed with PTSD after witnessing a traumatic event in the line of duty, you may be entitled to compensation as of October, 2018. That said, just because the law makes you eligible for workers’ comp does not mean that compensation will be automatic. An experienced Tampa workers’ compensation lawyer can help you prove your case and ensure that you walk away with the compensation you need to receive adequate treatment. 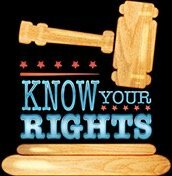 Contact Barbas, Nuñez, Sanders, Butler & Hovsepian to discuss your case today.